James Sutorius as “George” and Globe Associate Artist Monique Fowler as “Martha” in The Old Globe’s production of Edward Albee’s Who's Afraid of Virginia Woolf?, directed by Richard Seer, playing in the Cassius Carter Centre Stage May 19 – June 24; Photo by Craig Schwartz. Nisi Sturgis as “Honey” and Scott Ferrara as “Nick” in The Old Globe’s production of Edward Albee’s Who's Afraid of Virginia Woolf?, directed by Richard Seer, playing in the Cassius Carter Centre Stage May 19 – June 24;; Photo by Craig Schwartz. 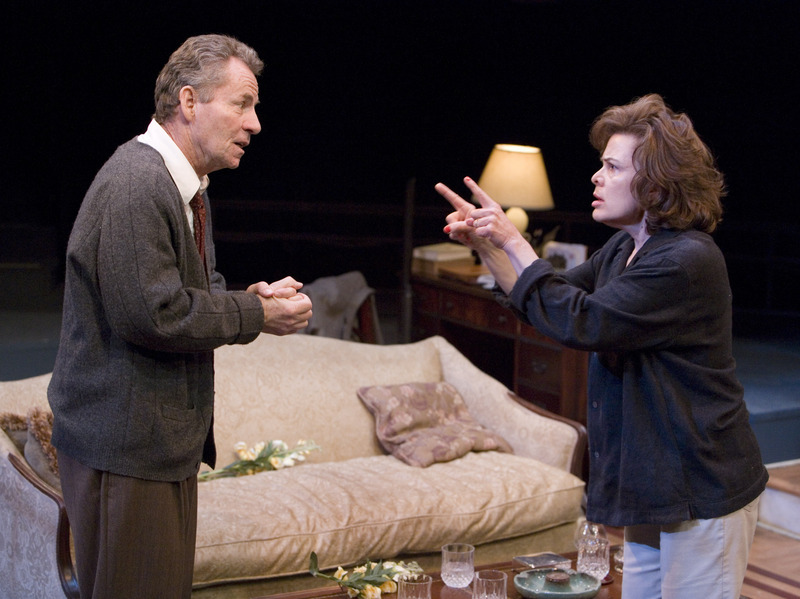 Scott Ferrara as “Nick” and Globe Associate Artist Monique Fowler as “Martha” in The Old Globe’s production of Edward Albee’s Who's Afraid of Virginia Woolf? 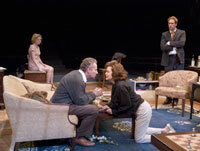 directed by Richard Seer, playing in the Cassius Carter Centre Stage May 19 – June 24; Photo by Craig Schwartz. (L-R) Nisi Sturgis, James Sutorius, Monique Fowler and Scott Ferrara in The Old Globe’s production of Edward Albee’sWho's Afraid of Virginia Woolf?, directed by Richard Seer, playing in the Cassius Carter Centre Stage May 19 – June 24; Photo by Craig Schwartz.